Through the ‘70s and ‘80s, the TV show Hee Haw depicted a cartoon American South of wisecracking hayseeds and blond beauties. But it was also the rare network outlet for great country music by Johnny Cash or Loretta Lynn. 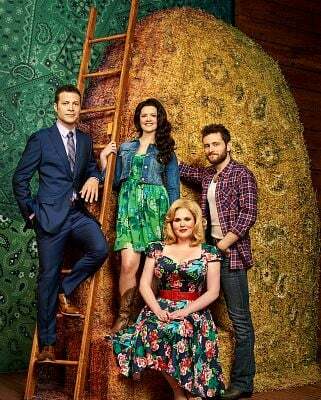 KERA’s Jerome Weeks reports Hee Haw is the inspiration for Moonshine, the new musical in previews at the Dallas Theater Center. OK, so admit it: Just the names — Hee Haw, Buck Owens, Roy Clark, Junior Samples — just the names are enough to get some of you feeling nostalgic, remembering Saturday nights with your fam’ly watchin’ tha tee-vee together. Others of you are rolling your eyes and groaning, remembering having been forced to sit through Hee Haw because you were stuck with your grandparents for the weekend and you couldn’t stand TV’s hicktown image of the place where you lived, the people you knew. But many of you under 40 have absolutely no idea what Hee Haw even was. Little wonder: The show stopped production 23 years ago. You’d have to be an aficionado of obscure cable channels like RFD to have even caught an episode of this 30-minute exercise in pickin’ and grinnin’ and gigglin’ girls. 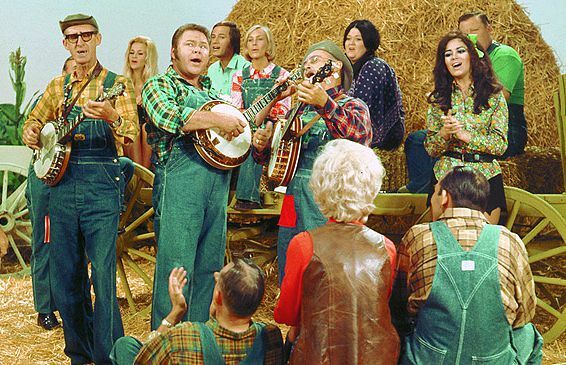 Original Hee Haw cast with host Roy Clark (with sideburns) on the banjo. 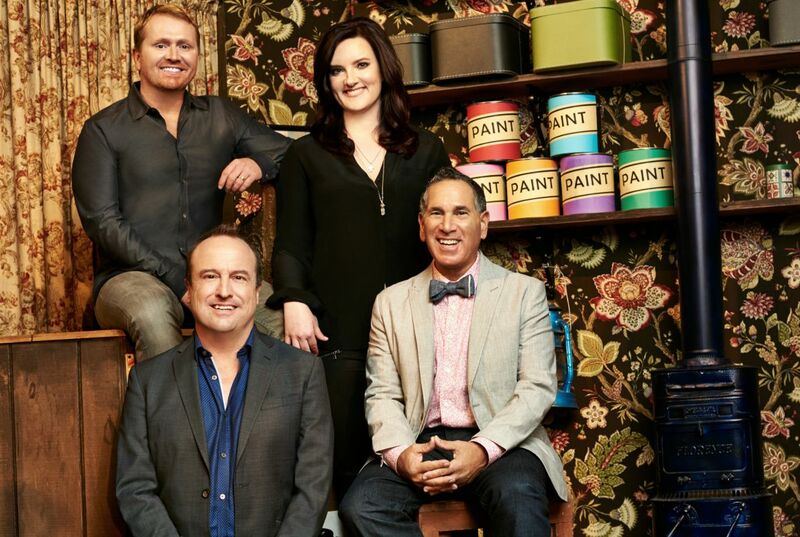 So why is a major regional company like the Dallas Theater Center helping try out Moonshine, a Broadway-bound musical based on a long-dead TV show? Well, because CBS killed Hee Haw in 1971 after only three seasons – and it didn’t die. The show was originally just a summer replacement for The Smothers Brothers Show, which CBS had cancelled for being too politically troublesome over the Vietnam War. Hee Haw was seen as a safer, middle-American alternative. But when Hee Haw got cancelled, the producers opted to sidestep the network and syndicate it. That meant selling the show directly to individual TV stations. And Hee Haw ran that way for 21 years. Twenty one years without a network — it’s second only to Soul Train among the longest-running syndicated variety shows in TV history. 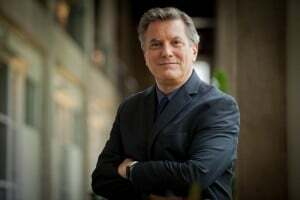 Allen says, the success of such syndicated shows – outside the networks – helped lead to our current media universe of hundreds of niche markets and cable channels. Kompare notes that although the show was once an outpost of country-fied culture on television, American popular culture as a whole — movies, television, major radio outlets — slowly became increasingly “country fluent” over the course of Hee Haw‘s run. By the late ’70s, we were seeing stuff like Smokey and the Bandit, Convoy, The Dukes of Hazzard, Every Which Way But Loose. Actually, it shouldn’t be a surprise that Hee Haw – the quintessential hillbilly show — did well in such upscale, big-city markets as LA and New York. It was written by two Canadians. It was modeled on the much hipper Rowan & Martin’s Laugh-In, which pioneered those quick-cut one-liners. Hee Haw‘s hosts — Buck Owens and Roy Clark — were also crossover, “countrypolitan” stars with pop hits (Owens’ “Act Naturally” was even covered by the Beatles). And behind all this was Hollywood deal-maker Bernie Brillstein. Brillstein was such a rube he’d go on to help launch Saturday Night Live and Ghostbusters. Brillstein recognized Hee Haw was as old as vaudeville: a little music, some pretty women, a little comedy. And the comedy wasn’t hip or topical, like Laugh-In. Much like The Beverly Hillbillies, Petticoat Junction and Green Acres, Hee Haw existed in a brightly-colored, timeless, family-friendly, generally white, Southern-backwoods neverland. On Hee Haw, it could be the ’20s, the ’30s, even the ’50s or ’60s. None of the characters ever seemed to own a TV set. They didn’t drive new model pickups or use contemporary phones. If they listened to a radio, it looked like something that was still picking up FDR’s fireside chats. More sophisticated Southerners in cities like Atlanta, Miami, Dallas or Houston might have gritted their teeth over such stereotypes, but big deal. Elvis was a fan. And the fact was the show didn’t have to explain the jokes to most folks. The guest stars were some of the best in country-western music. Some of their performances may well be historic — that rare time they appeared on television. All of which is why, a Jewish kid in Brooklyn could enjoy the show with his grandfather, a former vaudeville dancer. Horn wrote the book for Moonshine. Horn has written for both TV (Designing Women) and Broadway (the musical, 13), so he’s got the right skill set for adapting the series. Country music has gone thoroughly pop-corporate-mainstream since Hee Haw started, but on Broadway, there still haven’t been a lot of big-time successes with the music: The Will Rogers Follies, Pump Boys and Dinettes, The Best Little Whorehouse in Texas — and the list drops off a cliff after that. What’s more, Broadway has adapted just about anything into a musical: original novels, short stories, graphic novels, movies, a single popular song, entire backlists for pop groups (ABBA) or even music labels (Motown). In fact, critics have complained, that’s often what’s different (and sometimes soul-less) about today’s musical comedies. They’ve become a little like crafting yet another Hollywood movie franchise. The musicals aren’t developed by a creative team fired up by an original idea they’ve come up with. They’re generated by producers or copyright owners seeking to generate new value for the product they already own. So they go out and hire the writers and composers to give that product a story and adapt it into a stage show. Which is precisely what has happened with Hee Haw: Steve Buchanan is president of Opry Entertainment — based in Nashville, where the original TV show was taped — and he wanted to re-invigorate the Hee Haw “brand” that Opry owns. So he hired Horn and the Grammy-nominated singer-songwriters Brandy Clark and Shane McAnally to develop the show (two of Nashville’s biggest out-gay stars), Gary Griffin to direct, Tony Award-winner John Lee Beatty to design the sets and Tony- and Grammy-winner Stephen Oremus to supervise the music. But here’s the thing: Big-time Broadway musicals adapted from popular TV series are even rarer than country-western musicals. Perhaps there is one; I haven’t been able to find it. Horn says he – and Clark and McAnally and director Griffin – they all recognize these issues. Put simply, the problem is how can Moonshine satisfy Hee Haw’s old TV fans – and appeal to a younger audience who’ve never seen it? Of course, the popular Clark and McAnally are part of the answer there — as is Justin Guarini, who stars in the show: He was the handsome runner-up to Kelly Clarkson on the very first season of American Idol. But still, can Moonshine be both nostalgic and new? Can it walk a line between corn and camp? Horn says, McAnally’s opening number reflects some of their solution. In McAnally’s smooth, likable, bouncy, country-pop style, the song affectionately evokes all the familiar tropes and characters from Hee Haw but doesn’t copy them. And that’s it. The cornfield sketches are gone from the show. So are the “Gloom, Despair and Agony on Me” routines. In short, Moonshine will be flavored by Hee Haw’s humor – but that humor and the eccentric characters who deliver it won’t dominate the show. Instead, the show’s central love story of a small-town girl coming home? That’s pure, old-school Broadway. And that moonshine will be taken straight. Moonshine: That Hee Haw Musical opens Sept. 18 and runs through Oct. 11 at the Dallas Theater Center.